A big thank you to all those individual riders, clubs, groups, associations who supported us through the years. As we have now “closed” down Right To Ride we are not taking on any more supporters. 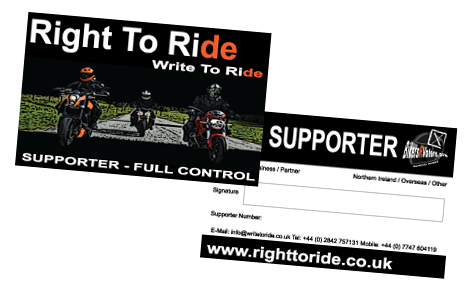 If you wish to support rider’s rights in some form in the UK you can join the British Motorcyclists Federation (BMF) or the Motorcycle Action group (MAG). 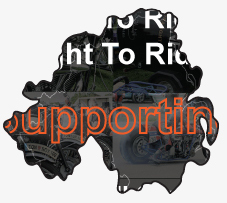 For Ireland check out MAG Ireland – The Irish Motorcyclists’ Association. 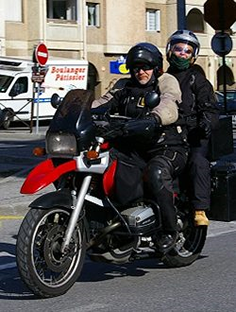 If you feel none of these are for you can donate directly to the Federation of European Motorcyclists Federation (FEMA) or find your rider organisation from other parts.